I made the first case by starting with a foundation chain and working around that with single crochet. 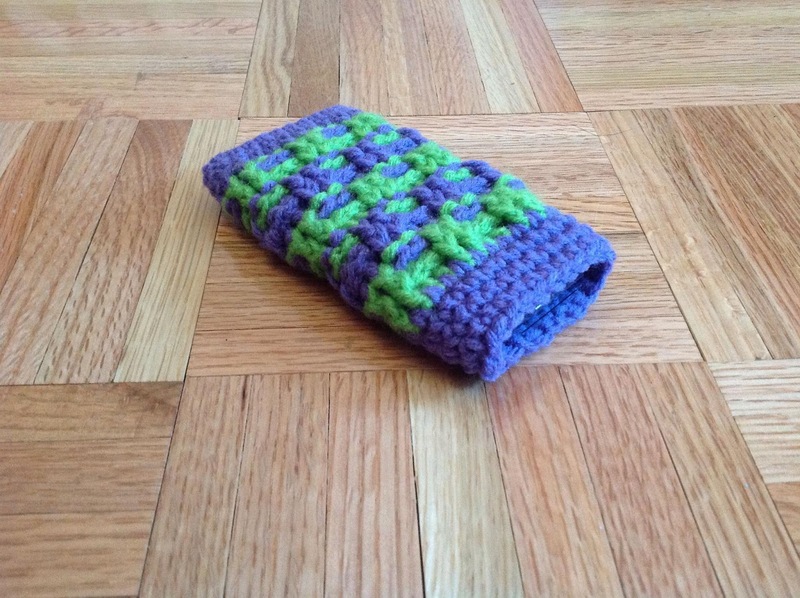 Switching to double crochet I created a basket weave effect to add texture to the main part of the case. The case was then finished off by returning to single crochet for the last few rounds. I used circular rounds rather than a continuous spiral so that the basket weave would be straight. For the second case I wanted something more simple and less bulky. I choose to do the whole thing in single crochet and worked in a spiral until the case was long enough. 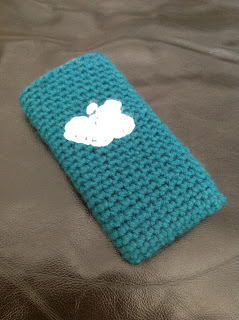 I added an apple with white yarn to make the case a little different.